We are a leading Wholesale Trader of 441 stainless steel sheets, aisi 441 stainless steel sheets, jindal 1.4509 / 441 stainless steel sheets, sae 441 stainless steel sheets, 441 stainless steel sheet and stainless steel sheet 441 from Mumbai, India. 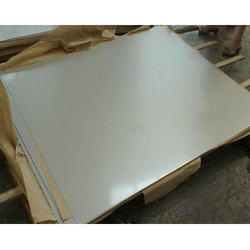 We are engaged in offering 441 Stainless Steel Sheets in different grades as per the need of the customer. 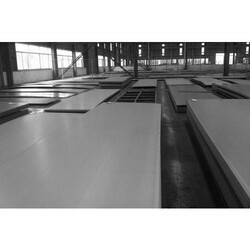 AISI 441 Stainless Steel Sheets is ferritic stainless steel grade. AISI 441 sheets has excellent resistance to corrosion and provides good high-temperature strength in exhaust gas environments. Abhay Steels are one of authorised supplier for "Jindal Manufacturer" AISI 441 stainless Steel sheet in India. At Abhay steels, we stock wide range of Different size quantities of "Jindal Stainless" brand AISI 441 Stainless Steel sheets in various finishes like BA, 2B, Matt, Mirror, Matte Finish, HR Finish. Jindal 411 Stainless Steel or DIN 1.4509 stainless steel is a Ti and Nb dual-stabilized ferritic grade with improved weldability. Corrosion resistance is often comparable to general austenitic grade 1.4301. 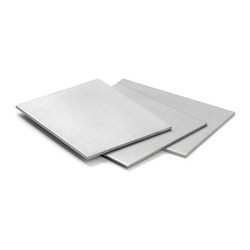 It is used in a wide range of applications, such as elevator and indoor claddings, door frames, catering end appliance, tubes and heat exchangers, Abhay Steels are one of authorised supplier / distributor for Din 1.4509 & AISI 441 Stainless Steel Sheets manufactured by "Jindal Stenless Ltd" in India. We stock wide range & different size quantities of "Jindal Stainless Ltd" brand Stainless steel 441 sheets and 1.4509 sheet in various finishes like BA Finish 441 Sheet, 2B Finish 1.4509 sheets, Matt Finish 1.4509 stainless sheet, Mirror Finish 441 Stainless Sheet, Matte Finis, No. 4 Finish, BA + Matte PVC Finish Stainless Steel Sheets. 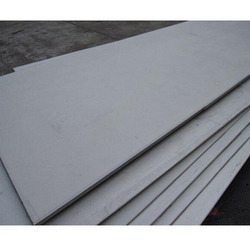 We have stock of 200 to 300MT in stainless steel sheets for 441 / 1.4509 of "Jindal Brand" yau can check "authorised dealer certificate", for stainless steel sheets from Jindal in the left. SAE 441 Stainless Steel Sheets has good oxidation resistance up to 950 Degree C and is therefore used in exhaust system applications, where it also offers a better general corrosion resistance than grade 1.4512. 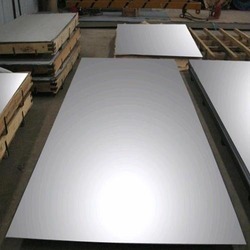 Abhay Steels are one of authorised supplier for "Jindal Manufacturer" SAE 441 Stainless steel sheet in India.At Abhay steels, we stock wide range of different size quantities of "Jindal Stainless" brand SAE 441 Stainless Steel sheets in various finishes like BA, 2B, Matt, Mirror, Matte Finish, HR Finish. Abhay Steel, Maharashtra, Mumbai, India's leading authorised dealer, supplier, exporter, wholesaler, trader, retailer & stockiest of Jindal sheet for Stainless Steel Sheet in India. Stainless steel sheet are used in modern architecture for cladding or fascias, to the food hygiene industry due to its anti-bacterial qualities & are available in various finishes like: 2B (milled finish stainless steel sheets) - general purpose cold rolled finish commonly used for all but exceptionally difficult deep drawing applications. 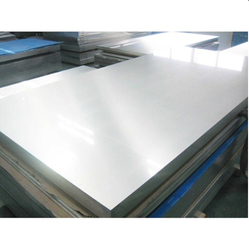 #4 (brushed finish stainless steel sheets) - general-purpose finish is widely used for restaurant and kitchen equipment, storefronts and food processing and dairy equipment. #8 (reflective finish stainless steel sheets) - is the most reflective polished finish that is covered by the ASTM standards. 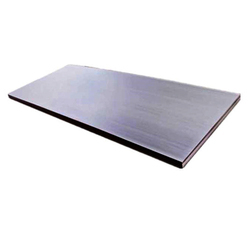 We are engaged in offering Stainless Steel Sheet 441 in different grades as per the need of the customer. 1.4509 Stainless Steel Sheets is super-ferritic that has properties and performance in service are actually superior to 304 whilst on others it falls betweed 430 and 301. Common Uses of DIN / W.Nr. 1.4509 sheet: Catering equipment and automotive-exhaust system components. Leveraging on our vast industry experience, we are offering a highly reliable array of Duplex Steel Pipe. The offered steel pipes are checked on quality provisions to assure the flawless range from our side. These steel pipes are processed by stainless steel & leading technology in adherence to quality norms. Our steel pipes are applauded for its features & provided in several specifications. Stainless steel grade 441 Stainless steel grade 441 is a ferritic stainless steel containing niobium that provides the steel good oxidation resistance upto 950 degree Celsius and better corrosion resistance than grade 1.4512(409).441 provides good high-temperature strength in exhaust gas environments, 441 has good for deep drawing, 441 shows Good ductility , brightness and weldability,441 polishes well.The 441 flat rolled stainless steel possesses magnetic quality in all conditions Type 1.4509 can be referred to as a 'Super-Ferritic' Like all ferritic grades, 1.4509 is not susceptible to stress corrosion cracking. Titanium and/or niobium alloying reduces sensitivity to intergranular corrosion. Its relatively high chromium content also improves its resistance to crevice corrosion. Type 1.4509 spans both of these two areas since it was developed for a particular range of applications in certain industries where it can be used in place of type 1.4301 (304). On some aspects, its properties and performance in service are actually superior to 304 whilst on others, it falls between 430 and 304. Notably, however, it is also lower cost than 304. · The main target sector is catering equipment to replace grade 304 heat exchangers. We are engaged in offering Stainless Steel 441 MATT PVC Sheets in different grades as per the need of the customer.